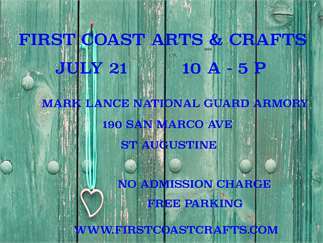 First Coast Arts and Crafts is pleased to be hosting their 9th annual summer arts and crafts event in St Augustine. Join us on Saturday, July 21, 2018, between 10 am – 5 pm at the Mark Lance National Guard Armory (190 San Marco Ave). Our vendors will be offering a wide variety of wonderful and unique products for you to choose from. Come hungry because we also have several food vendors offering up some delicious foods and desserts. 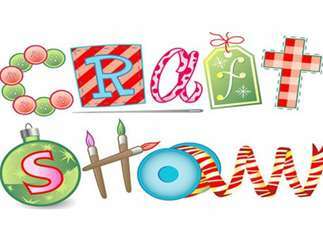 Please visit our website www.firstcoastcrafts.com for more information on the event and if you are interested in joining us as a vendor.